Buffalo, New York — PLS 3rd Learning is excited to announce the Steve Barkley Ponders Out Loud education podcast, now available for free in the iTunes store. In each episode of the Ponders Out Loud podcast, renowned education consultant Steve Barkley offers insight on important educational topics, explores educational best practices, and answers questions based on his over-30 years of experience. Throughout his career, Steve has served as an education consultant to school districts, teacher organizations, state departments of education, and colleges and universities nationally and internationally. Steve facilitates the changes necessary for teachers to reach students and successfully prepare them for the 21st century. “The new podcast option allows me to share the knowledge and insights I’ve gained over the last 35 years traveling to schools around the world with an extended audience,” Barkley said. 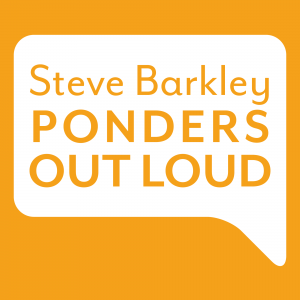 You can listen to the Steve Barkley Ponders Out Loud Podcast now, available for free in the iTunes store or at BarkleyPD.com.